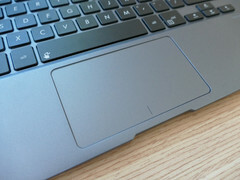 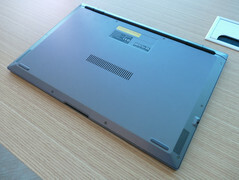 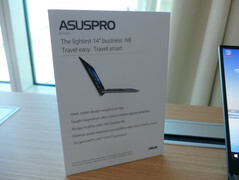 The new Asuspro will be even lighter than the just-announced Lenovo X1 Carbon and will launch this March for 1200 Euros. 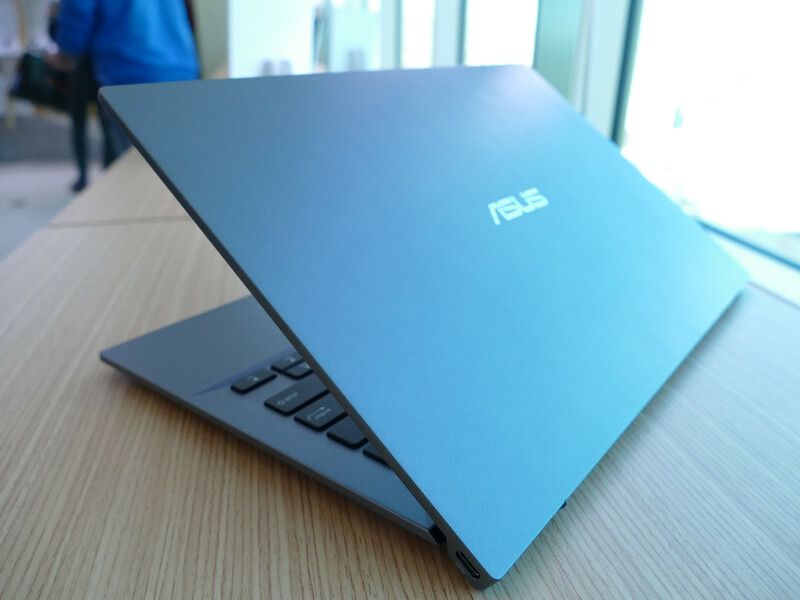 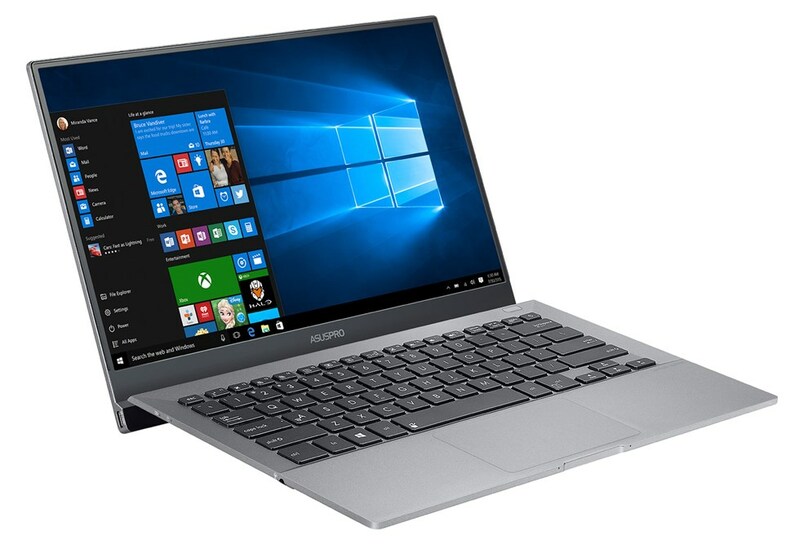 The Asuspro series of mainstream business notebooks is about to get sleeker and thinner with the upcoming Asuspro B9440 that Asus is claiming it to be the world's lightest business notebook in its size class. At just 1.04 kg, the B9440 is almost 100 g lighter than the upcoming Lenovo X1 Carbon refresh. Its chassis is made almost entirely of magnesium alloy and the design itself if reminiscent of the old Dell Adamo series since the lid is longer than the base it sits on. 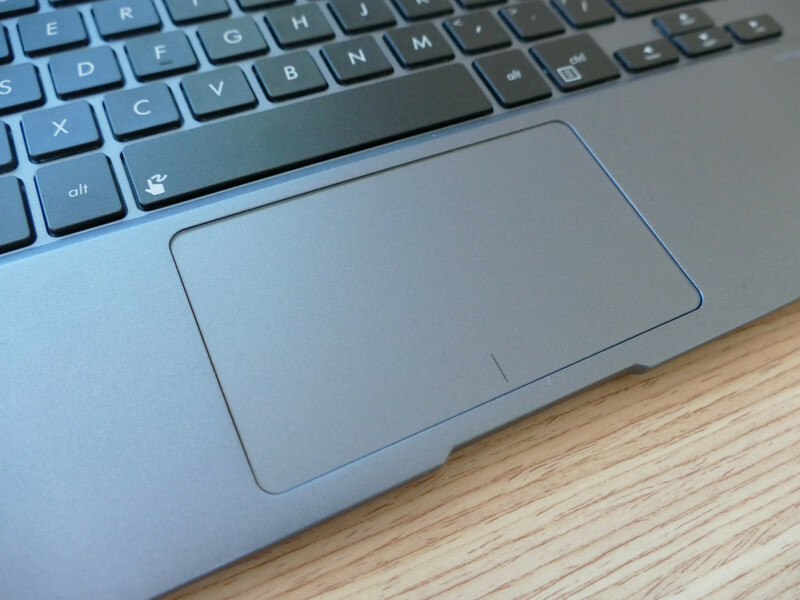 As a result, opening the display will tilt the base for a more comfortable typing experience. 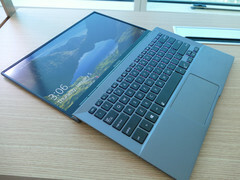 Additionally, the base integrates no physical ports in order to achieve its super-thin form factor. 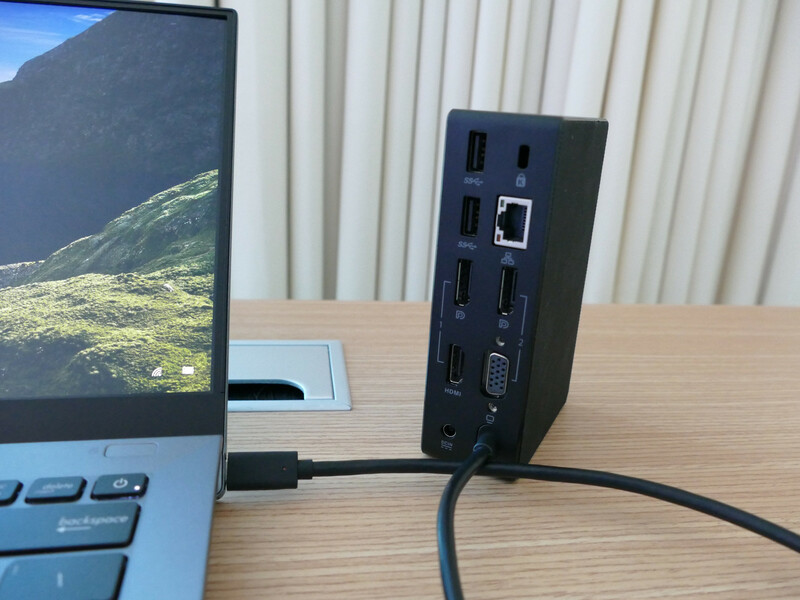 The ports are instead on the lid itself not unlike on the Dell Adamo, though options are still limited to just two USB Type-C ports. 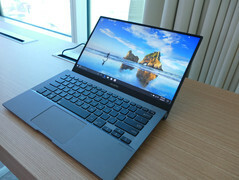 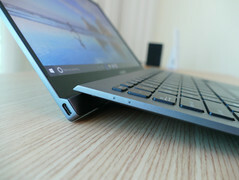 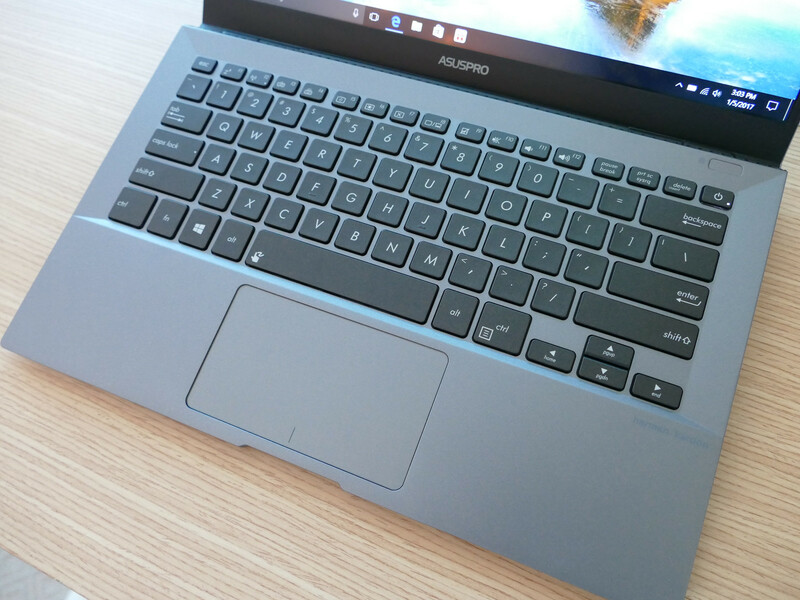 The bezels are very thin like on the XPS 13, so the overall size of the notebook is closer to a 13-inch offering despite the larger 14-inch screen. 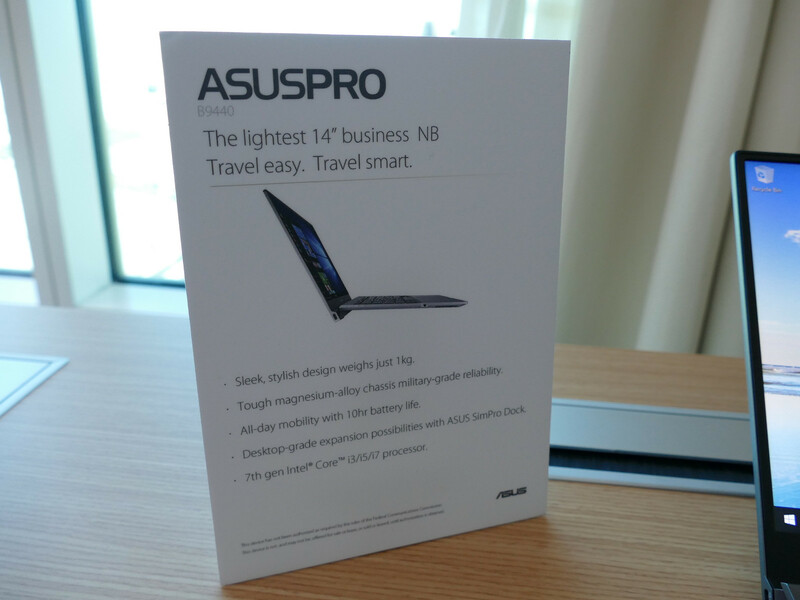 The major downside here is the complete lack of an integrated webcam on the Asuspro. 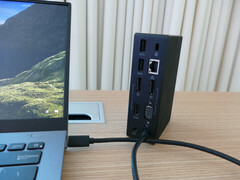 Otherwise, expect a native 1080p screen with Kaby Lake Core i3/i5/i7 CPU options and an optional USB Type-C docking port for wider connectivity features.